David Brewster, one of the authors of this article, is a Visiting Fellow at the Strategic and Defence Studies Centre, Australian National University, Canberra, Australia and Commodore Ranjit Rai (Retired) is the Former Director of Naval Intelligence and Operations for the Indian Navy, New Delhi, India. This article, written about India's efforts in the 1980's decade to expand its strategic reach in the Indian ocean and in particular its efforts to make the island state of Mauritius as one of India's closest allies in the region, makes such a fascinating reading that I thought that I must introduce it to my readers. Many of the readers would immediately realize that when one talks about the India of 1980's decade, it was ruled at that time by none other that India's Iron Lady; Mrs. Indira Gandhi. Her entire political carer is dotted with tough decisions, like helping Bangladesh to win its war of freedom or action against Khalistan leaders, that had far reaching implications. This entire episode with Mauritius, is again a fine example of her statesmanship without least doubt. Mauritius became independent from British in 1968. India has been well aware of the need to have friends in Indian Ocean area on whom it could count upon. With this need in mind, India had supported for 14 long years, Mauritius Labour Party (MLP), led by Sir Seewoosagur Ramgoolam. In 1982, India helped, Anerood Jugnauth of Mouvement Militant Mauricien (MMM) to oust the prime minister and become new Prime minister of the country. MMM was a Left socialist political party in Mauritius, whose ‘ideological leader’ was Paul Berenger, a firebrand socialist of French descent, who became the minister of finance in the new Government, formed under prime minister Anerood Jugnauth. However after the Government was formed there was considerable friction between Jugnauth and Finance Minister Paul Berenger. B.Raman is obviously referring here to Mauritius and the fear of its prime minister Anerood Jugnauth of a possible coup oraganized by his rival Berenger. We have no means to know, what exactly transpired in the meeting in Mauritius. But it is known that actually, Anerood Jugnauth had requested that a senior R&AW official be rushed to Port Louis and help defuse the crisis. There was a NAM (Non Aligned movement) summit in New Delhi between 7th and 12th of March in New Delhi and Mauritius Prime Minister Anerood Jugnauth was seen attending this meeting. It is possible that he might have hinted about the possible developments in his country to Mrs. Gandhi. Soon after this summit, Mrs. Gandhi ordered Indian Navy and Army to prepare for amphibious landing of troops in Mauritius The secret plan was called 'Operation Lal Dora ( Red Thread)' and included troops of 54th division along with six naval destroyers with Alouette helicopters and MK 42C Sea King aircrafts for slithering operations. Subsequently, concrete military preparations got under way in Mumbai at the time. Even though the naval plans were presented to Mrs.Gandhi, she never gave go ahead and the operation never took place. On the contrary, New Delhi somehow leaked the plan to Mauritius, and it created fear among the conspirators there. The authors of the research note say that although the official reason given for putting off the operation was differences of opinion between Navy and Army, Mrs. Gandhi’s real aim may have been to spread the word in Mauritius, in particular a signal to the Berenger camp, that Indian military intervention was imminent. As I have mentioned above, the R&AW chief Nowsher F. Suntook reached Mauritius and then supervised a largely intelligence-led operation to reunite the Indian community whose fracturing along ideological and communal lines had allowed Mr. Berenger to mount a political challenge. After this, Prime Minister Anerood Jugnuath dissolved the Assembly, quit MMM and formed a new party, Militant Socialist Movement ( MSM). He came back to power with the support of an alliance with the MLP and the Social Democrats. Paul Berenger had to accept becoming the leader of the opposition. For India, this was a huge success. Subsequently, Anerood Jugnauth stayed on as PM for more than ten years. It was a great personal triumph for India's iron lady, Mrs. Gandhi and her intelligence wing, R &AW. After this, cooperation between Mauritius and India blossomed fully. Prime Minister Anerood Jugnuath requested India for sending an Indian intelligence office as his national security adviser. An army man, General J.N. Tamini, was sent and who remained there for many years. In the same year, Mrs Gandhi awarded the Double Taxation Avoidance Convention (DTAC), a unique economic sop provided to Mauritius entities and persons to invest into India. Today this convention is one of the principal routes through which Foreign direct investment comes to India. Indian military assistance was also provided by the Indian Navy. All Government departments coordinated to continue close cooperation between these two countries. Authors say that Mauritius became the Indian listening post in the IOR and the Indian Navy helped set up its Coast Guard, provided ships, personnel and craft and helicopters and Dornier planes which operated from Port Louis for maritime surveillance. 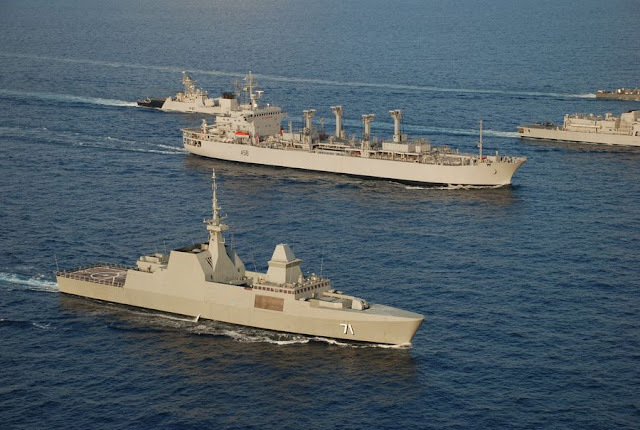 Indian Navy warships regularly called at Port Louis and co-operated closely with the local Coast Guard and Police which is responsible for security. In subsequent years, India did resort to military interventions in the Indian ocean, when naval ship Vindhyagiri helped to abort a coup in the Seychelles in 1986 and again in 1988 when commandos and naval ships were rushed to the Maldives after Sri Lankan Tamil militants sought to unseat the then President, Abdul Gayoom. The Mauritius operation, however is unique as it was entirely handled by R & AW, India's intelligence wing and achieved excellent results for the country. This whole episode also highlights the importance, Mauritius has in India's strategic plans in the Indian ocean. The story of Mauritius is a great testimony to India's strength and influence in that region. 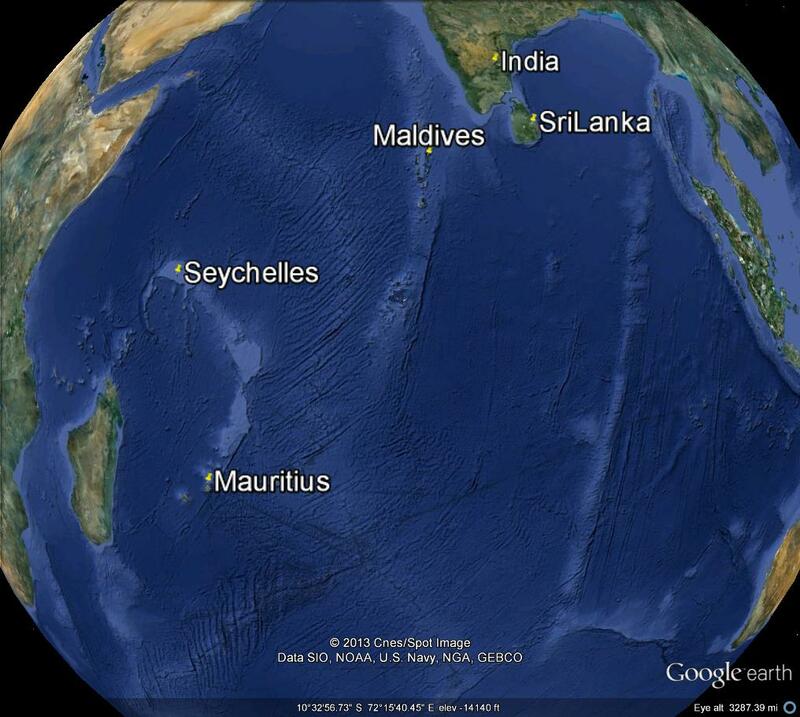 Even without sending military, India was able to influence Mauritius to India's advantage. India needs leaders like the late Mrs. Gandhi who was better at managing foreign affairs. Mrs. Gandhi's period is gold period for India in all aspects. But today, India's policy towards SriLanka is very coward and funny. External affairs ministry and RAW must be sacked.